Master Stylist Leo C. Scott stays current with the latest trends and techniques to deliver looks ranging from classic to cutting edge. 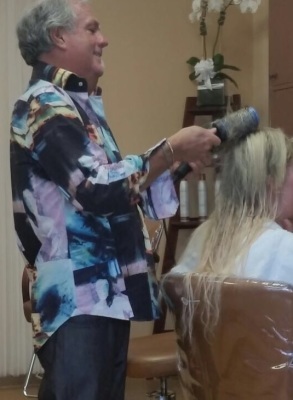 He specializes in coloring, up-dos, hair extensions, precision hair cutting (John Dellaria training), hair rebonding (Magic Sleek, Japanese, Thermafuse and Keratin). His personal flair and ongoing training have made Leo a leader in the field of coloring and styling. He attributes his success to his outgoing personality and tremendous passion for his work!